Ever Wish You Had A Magical Mentor Or Could Attend A Special Magical School? 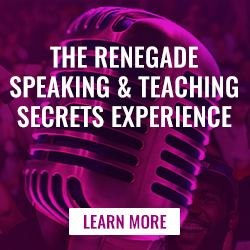 Helped you to See and Experience Truth and develop amazing skills and abilities? Or, did you ever wish you could actually go to Hogwarts or an ancient Mystery School to Experience the same thing? It was a dream and fantasy for a big chunk of my life. And/or how my Experience can benefit you, if your journey is different from mine. 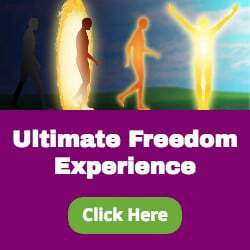 Dear Robert, Thank you very much for Ultimate Freedom Teachings.I realized now that our day-to-day activities are actually part of our life’s purpose and mission? I never think of it in this way!! It absolutely make sense! I agree with you regarding the inner mentor/master. I also want to add that: “What is done on the inside,cannot be undone on the outside” In other word if the inner master decided on an action, you yourself need not do much for it to become a reality. This to me means Ultimate Freedom!! Thanks for letting the magic happen!! Sometimes, I play the role of “Outer Mentor” for people, and through the process or our interactions, the awakening of the Inner Mentor happens in people that continues the “work” until The Final Destination is reached. BTW: with reference to your final comment, my bias and Experience is that “we” don’t have to do anything for it to become a reality. It just happens on its own, or with some initial stimulation help. Hi Robert,would you mind sending me the title of the Daoist book? The Wandering Taoist by Deng Ming-Dao. Great to hear this from you. Your journey is similar to mine. My Inner Mentor showed up out of the blue 20+ years ago when I was sitting in a movie theater and my life truly shifted gears. It has been a fantastic journey, very arduous too for a long time. It has led me to where I am now in much the same way as yours has and the Experience you’re sharing with others is one I’ve had an awareness of for most of those 20 yrs. but not the actual experience. About a year ago I started to realize I was Experiencing rather than simply Knowing but omgosh! in the last several weeks this has begun to open up for me exponentially even moreso and is unlike anything one can only read or “know” about! I cannot wait for my True Purpose and Mission to reveal themselves now that I’ve begun to Experience my True Self. My Inner Mentor led me to your Busting Loose book and I’ve been following you ever since because yours seemed to be one of the very, very few voices of Truth amidst all the shouting that resonated with mine. Last, I almost fell off my chair when you mentioned Taoism because that’s the only belief system that came close to resonating with me after I left the usual mainstream religions behind. Cool! When I arrived in florida I had a year or so to live just about completely alone. I had a mentor like that once, but I say “be careful of what you wish for!” because relationships aren’t always of the highest ethics or direction. I have been a spiritual traveler seeking truth amidst my own angst and drama, all my life. I did not seek self – help, actually, scientology, meditation, and religion were chosen to find Truth, and the nature of our Creator, Creative Essence. I have entered phase 3, irrevokably. Although I still have to find the place and time to focus attention towards flowing instead of worrying, the need for a mentor is our creator, I believe. Sometimes comical, sometimes silly, in my case, and sometimes I am free enough to wonder if Truth is found profoundly and more so for example, I am a messianic christian, and because of your teaching, closer to G-d than ever before. In fact you made me realize the relationship. Your ‘confession’ did move me a lot. I am guided too. When you told about your experience of your guide showing you inside how the story departs from an event, and especially your words that described the guide’s behavior and playfulness, this was very familiar to me. At one point I was talking with a friend about how I felt in the past, and suddenly a fear that belonged to that past appeared, and I saw in inner space how my sky became covered with clouds. This is what that fear did: created a blockage to development and freedom. My guide appeared in my inner space and blew air from his mouth at the clouds, and they cleared up. It was to show me how easy it is to dispel the fear. There is so much to tell that it does not make sense to do it here. I had guidance for most of my life and only now I start to realize that this is what all the weird events of my life meant. I also came to experience the immense love that comes with it. 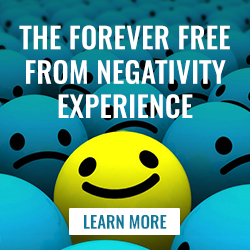 Seems you’ve gotten Value from the Forever Free From Negativity Experience already. The inner DON JUAN, instead of the outer ,it all starts inside.